VIZ Media and CineLife Entertainment present the U.S. premiere of Hunter X Hunter: The Last Mission in a limited theatrical run. Hunter X Hunter’s second feature film premieres with special screenings in both subtitled and dubbed formats beginning this week on January 30, 2019. A list of participating theater locations and ticket sales for all screening dates is available at cinelifeentertainment.com/event/hunter-x-hunter-the-last-mission. In Hunter X Hunter: The Last Mission, the Battle Olympia tournament at Heaven’s Arena is about to begin. Gon, Killua, Kurapika and Leorio plan on watching the matches along with the other Hunters and VIPs in attendance. As they wait, a raid by The Shadow ends the festivities. Skilled fighters fall one by one to their terrifying ability called On, a dark power derived from malice. When their leader Jed captures Netero and declares death to all Hunters in the name of vengeance, Gon and Killua rush to defeat him. 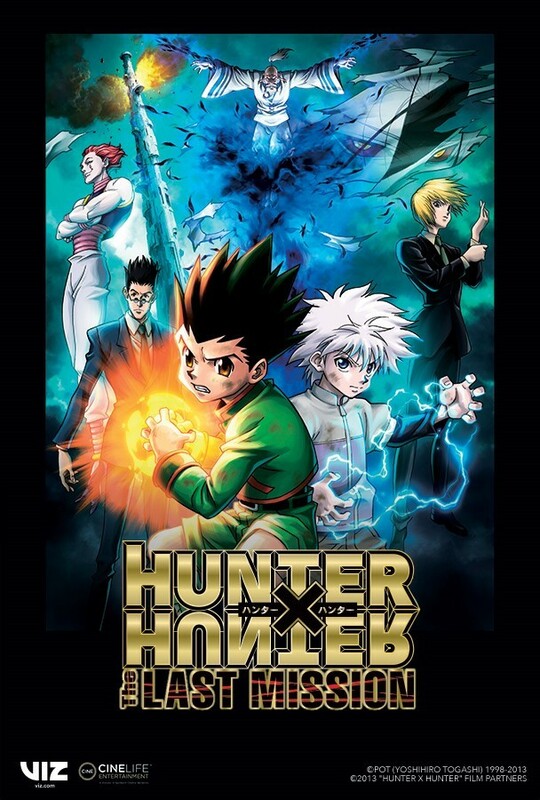 The Hunter X Hunter anime series reboots the Hunter X Hunter manga created by Yoshihiro Togashi. The anime adventure was produced by the animation studio, MADHOUSE, and has been seen widely in North America on Adult Swim’s Toonami. VIZ Media is the official North American distributor of the Hunter X Hunter anime series and holds the broadcast rights, digital streaming rights, home video rights and merchandising rights to the series.